Yesterday Netgear announced the new Arlo Go. Its features are similar to the Arlo Pro, except that it also has 3G/4G LTE, allowing you to install it anywhere that AT&T has coverage. Let’s compare Arlo Pro vs Arlo Go (not to be confused with GoPro ?). 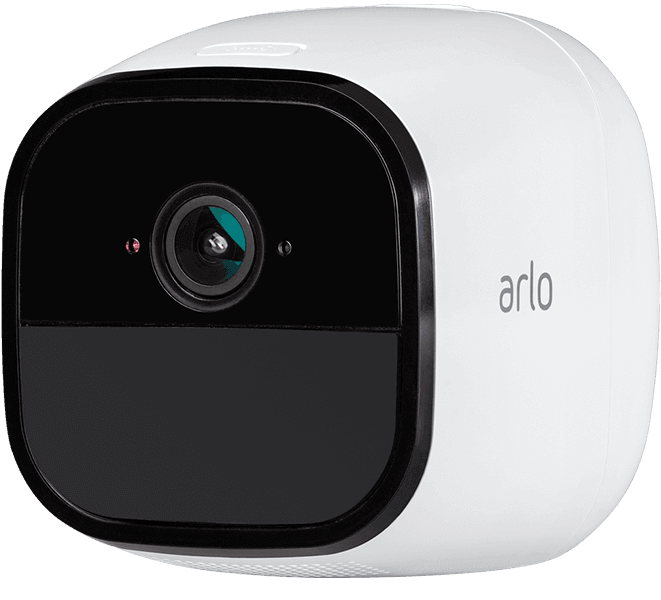 0.0.1 Note: If you are looking for comparing the original wire-free with Arlo Pro, head to our Arlo vs Arlo Pro review. 1.4 Is Arlo Go Worth It? Note: If you are looking for comparing the original wire-free with Arlo Pro, head to our Arlo vs Arlo Pro review. It’s easy to mix up the two cameras: they rhyme and look almost identical. However, there are some big differences between the two that will influence your buying decision. Arlo Pro on the left, Arlo Go on the right. Arlo Go is almost an inch wider. Is Arlo Go Worth It? First, all of Netgear’s Arlo cameras are an excellent buy, including Arlo Pro vs Arlo Go. They are a respected smart home brand and known for making excellent cameras. When the Arlo Pro was announced, many customers were relieved to find that the features Arlo was missing for so long were finally accessible, especially rechargeable batteries and two-way audio. The Arlo Go was more of a surprise. 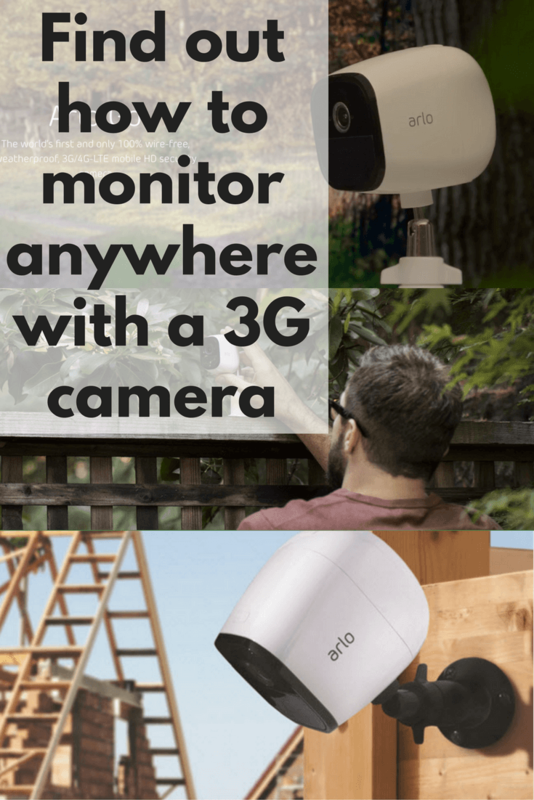 Why didn’t Arlo simply offer 3G in the Arlo Pro and call it good? What’s the purpose of offering two different cameras? While it probably has something to do with sales and price points, now customers need to choose between Aro Pro vs Arlo Go. If you are wanting to monitor your home, office, or other area that has WiFi, buy the Arlo Pro. Arlo Go doesn’t connect to WiFi; it only has connects using AT&T’s network. Arlo Pro is the way to go if you want to use WiFi to monitor your home. 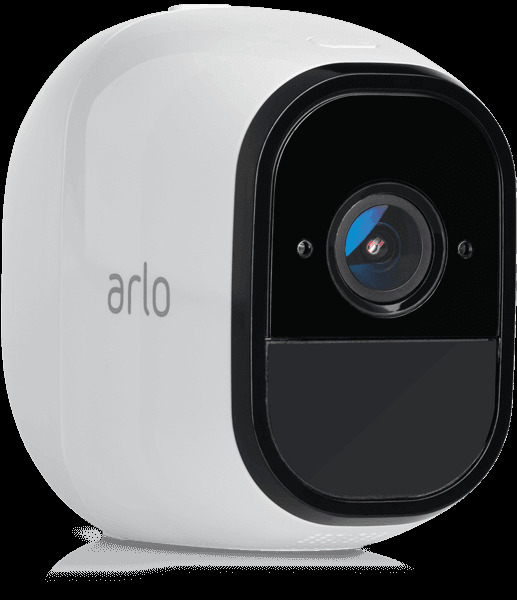 Arlo Go is designed for areas without Internet access that you still may want to monitor: remote cabins or beach houses, construction sites, parking garages, boat docks, or anywhere else that needs to be guarded, but doesn’t have Internet access. 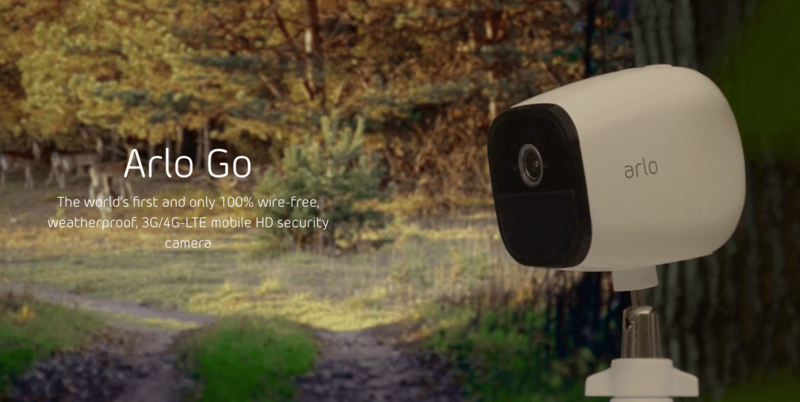 Buy Arlo Go if you want to use your camera somewhere without WiFi. It comes with an AT&T sim card, which will allow you to connect it to the AT&T service. This will add a monthly bill, but it may be cheaper than purchasing WiFi or risking your expensive property getting stolen. An alternative to the Arlo Go is Canary Flex, which allows for coverage using Verizon. We compared Canary Flex vs Arlo Pro vs Nest Outdoor Cam and found Arlo to be the overall winner, but Canary is still a great option, especially since it doesn’t require a base station or hub. Canary Flex has capabilities for coverage with either WiFi or a cellular plan. Arlo Go is available now, at a hefty price, plus a monthly charge from AT&T for the coverage. Still, it may be worth it, depending on your security needs. If Arlo Pro is the camera you decide to use, make sure you check out our free download with 50 Arlo Pro ideas.